My bestie lives in the USA. We don't get to see each other very much, but we're always there. Just a phone call, Skype chat, Facebook PM or email away from each other. When we do see each other we cry a lot when it's time to go. 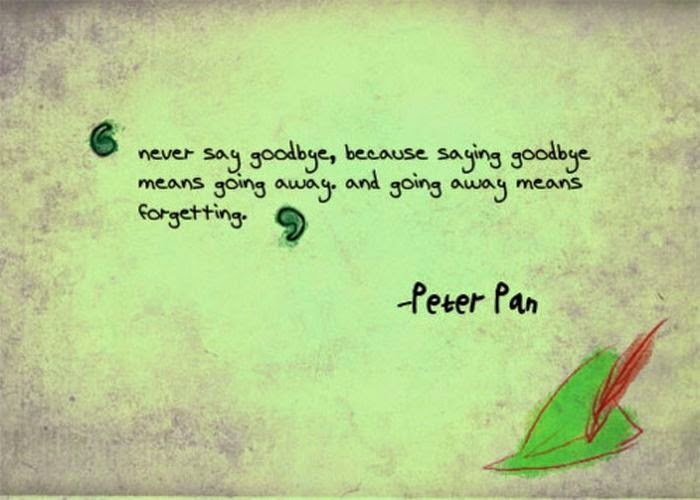 But one thing we've learned .... it's better not to say goodbye. Instead we just say "see ya later". Why am I writing this today? No reason, other than it just felt right. I love technology for these reasons!! I haven't seen my bestie for years but we talk regularly. Isnt technology great. We in this time of the world are so lucky as the world has been made smaller. So glad I read your post before I walked out the door for my interview...Made me smile. Thanks bestie. Chat later! So great that you have stayed so close even though she live on the other side of the world. I love that quote and I'm going to use it more often - see ya later @!